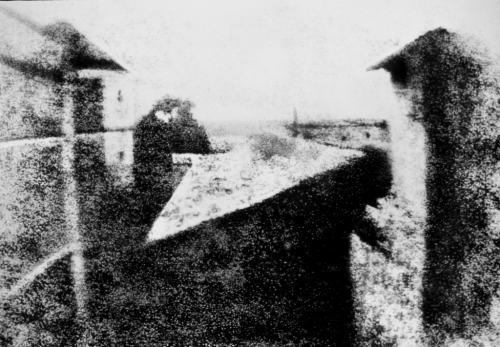 View from the Window at Le Gras, the first successful permanent photograph created by Nicéphore Niépce in 1826, Saint-Loup-de-Varennes. Captured on 20 × 25 cm oil-treated bitumen. The photo was made with an 8 hour exposure in a camera oscura on photosensitive bitumen. 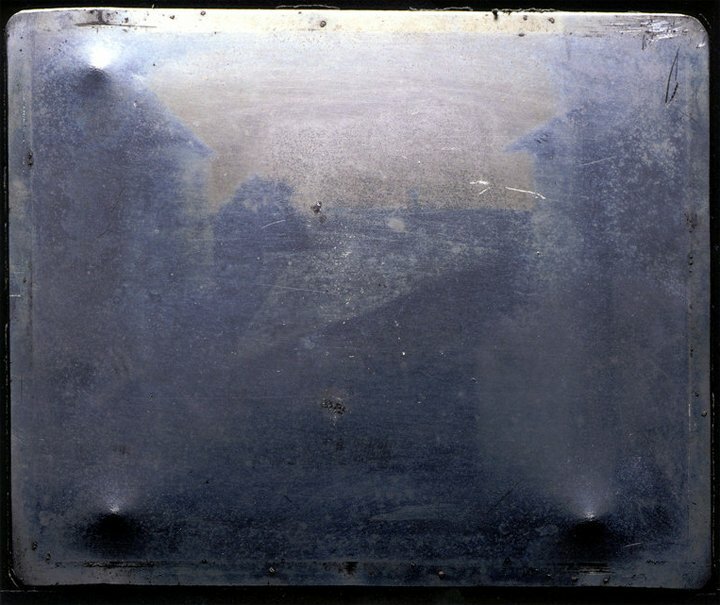 The photo is developed by washing away portions not hardened by light.